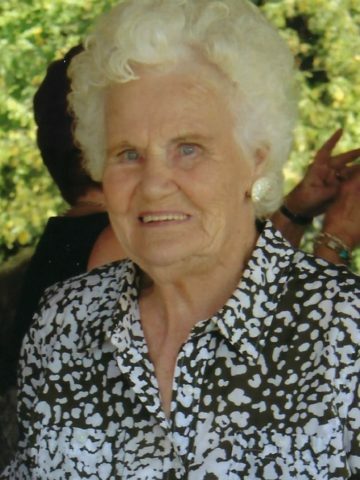 Martha Cole Bowers, November 4, 2018, age 95. She was preceded in death by her husband, John H Bowers; sister, Mary Hicks, brother, James Cole; granddaughter, Christy Wilson. Survived by her children, Harry (Jo) Bowers, Sheila (Fred) Robinson, Cheryl (Larry) Brown, Penny (Eric) Stansbury; grandchildren, Lance Bowers, Mindy Hall, Jamie Carter, Phillip Brown, Scott Wilson, Allison Geer, Eric Lee Stansburg, and Elizabeth Stansbury; great-grandchildren, Zachary, Bailey, Kendall, Kobe, Anna Beth, Cole, Camy, Cory, Cara, Hudson, and Ava Hayes. Martha was a life long member of New Hope Baptist Church, and was retired from Sumner County Schools. Visitation will be at Cole & Garrett Funeral Home, Goodlettsville Tuesday from 3-8 pm, and Wednesday from 11 am until service at 1pm with Dwayne Ray, officiating. Interment to follow at Beech Cemetery. It was a very good 22 years. I remember her and John they lived next door to my grandparent mr & mrs long on Drake st they were really nice people. She was a beautiful woman, even though I never met her in person, I feel like I knew her. She was ever in my prayers, and I often asked Shelia about her. Shelia, I am so sorry and will be praying for all of you. I am so sorry to read this today. Just laid my sister to rest yesterday. Martha was such a sweet person and I loved her dearly. She and John were always special to our family.